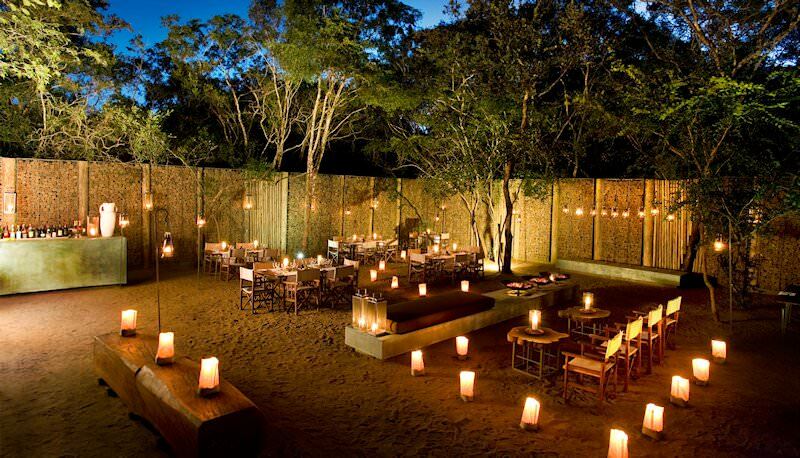 Phinda Forest Lodge is set amongst ancient sand forests in the exclusive Phinda Private Game Reserve. 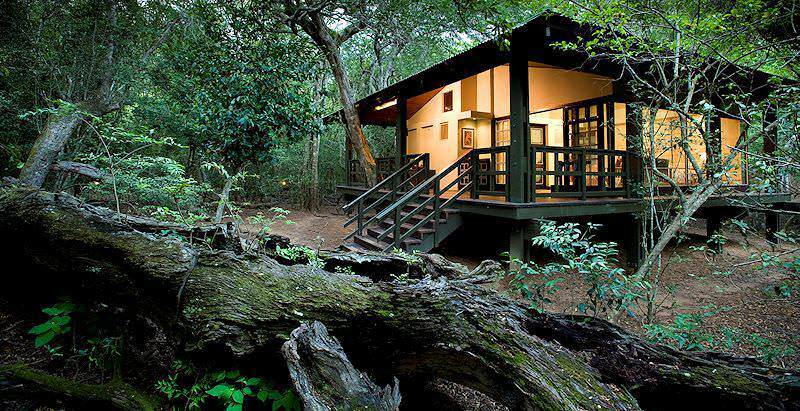 Forest Lodge is a fine five star lodge set in the Phinda Private Game Reserve. The reserve is located east of the St. Lucia Wetland Park, a declared World Heritage Site. The area has no less than seven different ecosystems ranging from mountainous terrain to sand forests, offering a unique location for a luxury South Africa safari. These diverse ecosystems support an abundance of different species, most notably the Big Five. 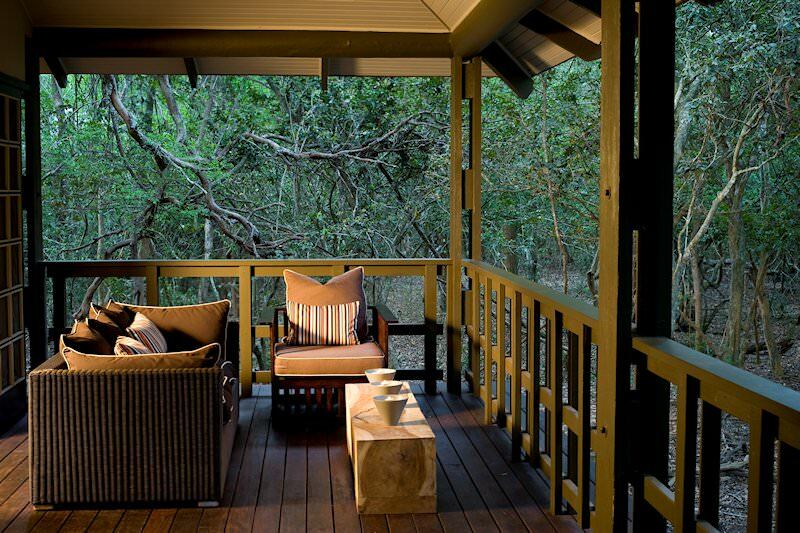 Phinda Forest Lodge features sixteen elevated chalets, each with a bedroom, lounge and en suite bathroom. Outside, amidst the indigenous forest trees, wooden decks have been erected. The unique structure is made up almost entirely of glass and is built on stilts. The chalets appear to float between the sand forest floor and the towering torchwood trees which surround it. They have been constructed in such a way as to ensure total privacy during you safari. 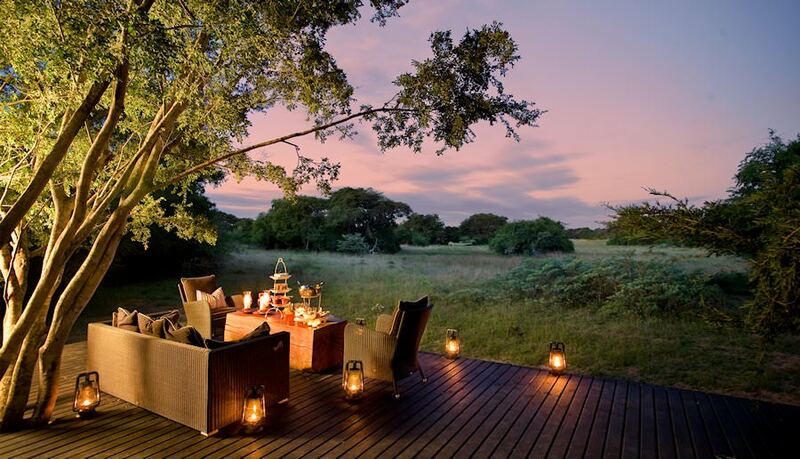 Enjoy mealtimes on the dining deck, in the dining room, or in the open-air boma under a starry sky. Relax in one of the lodge's sitting areas or open decks with unobstructed views of the surrounding plains. Alternatively, unwind in your room and observe the surrounding wilderness from the comfort of your bed or private veranda - true luxury in the bush. Following their transfer from Richard's Bay airport via Johannesburg's O R Tambo International Airport, guests arrive at the reclusive mossy sanctuary of Phinda Forest Lodge for their luxury safari. From game drives in the Big Five-hosting Phinda Private Game Reserve to languid bush walks and navigating the Mzinene River with canoe and oar, this safari package is sure to keep every ilk of holidaymaker satisfied. The park is renowned for its spectacular cheetah and black rhino sightings. 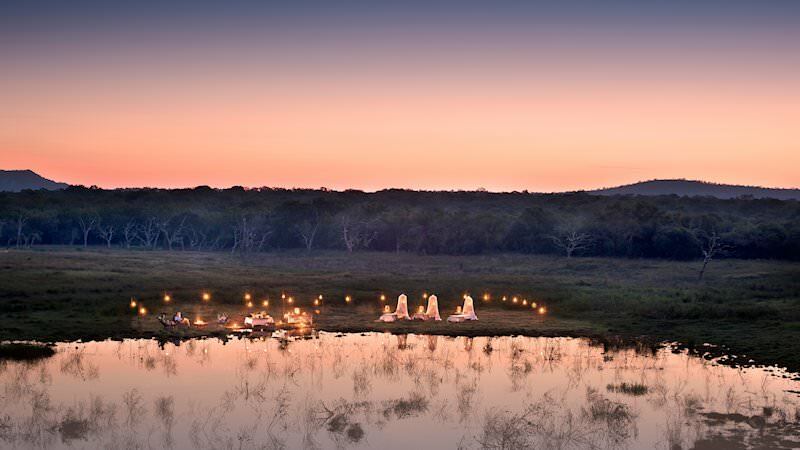 Nestled in the ancient foliage of South Africa's Zulu Kingdom, Phinda Forest Lodge offers lavish mealtimes in the nooks of the sand forest or under the African sky in the boma. Cool off in the pool or drink in the breathtaking natural surroundings on a sunbed. 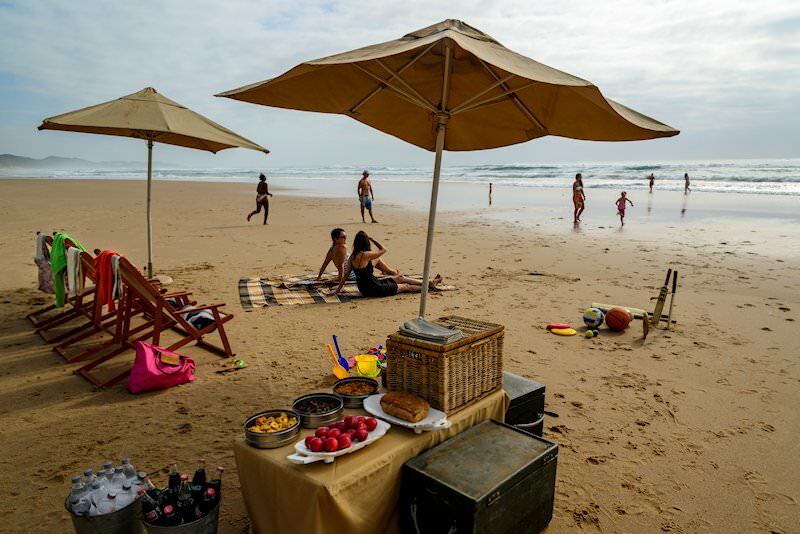 Additional activities include a tour to the local village, specialist family safaris and, if you fancy combining your bushveld experience with the wonders of the Indian Ocean, diving excursions to nearby Sodwana. You are sure to enjoy the glass-fronted chalets at Forest Lodge. It gives a sense of being enveloped by the surrounding bush. The quality of the rooms and central areas are first rate and the cuisine is sure to tantalize your taste buds. 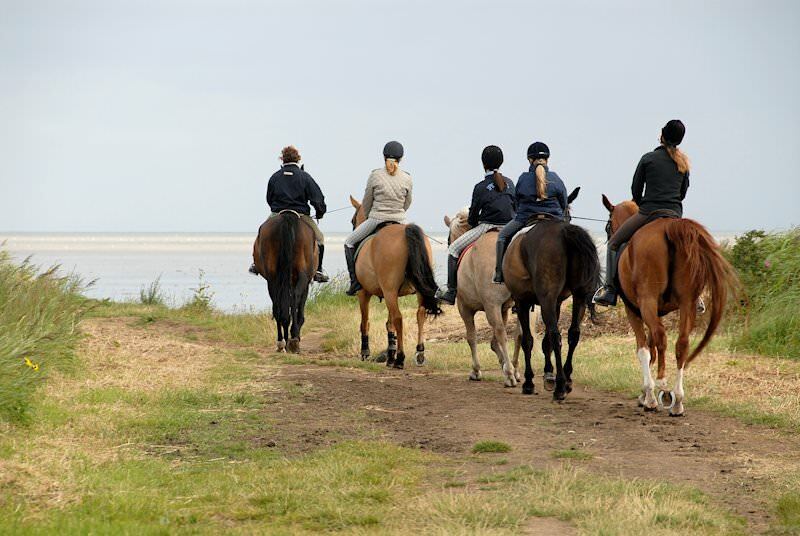 The reserve offers one of the finest South African safaris in northern KwaZulu-Natal. The reserve offers a wide diversity of habitats. I would advise also considering Mkuze Falls Lodge, which offers a fine Big Five safari in the same region as Phinda Forest Lodge. 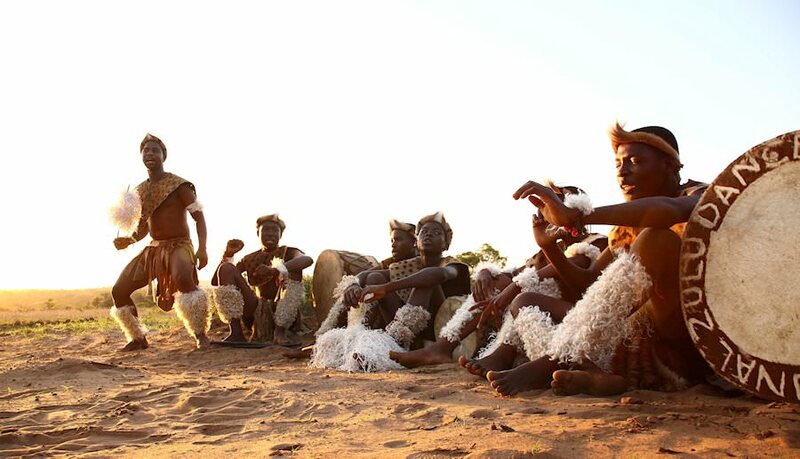 South Africa offers fantastic value for money African safaris. Botswana's wilderness areas are remarkably pristine and bursting with wildlife. Namibia is a vast desert country with arid yet wildlife-rich safari areas. Zimbabwe is home to the 'smoke that thunders' - the magnificent Victoria Falls. Travel to Mozambique for an unforgettable tropical honeymoon or beach safari. The Kruger National Park is flush with wildlife, including 147 different species of mammals and more than 500 identified bird species. 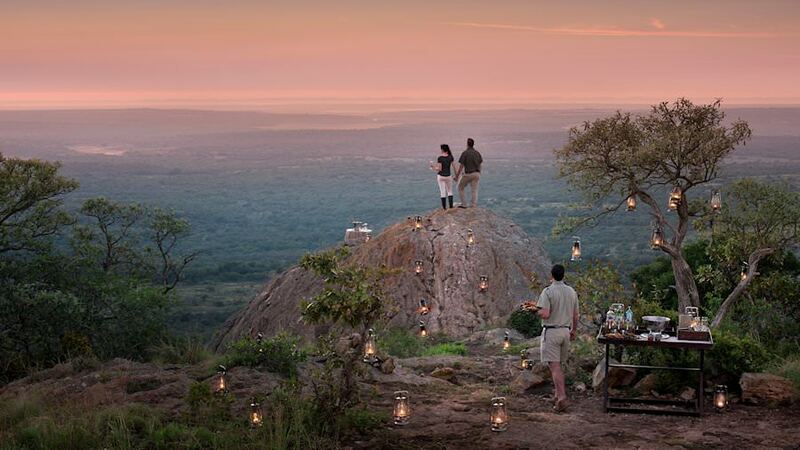 The luxury safaris offered by African Sky include exciting safari activities, like immersive bush walks and traditional open-air 4x4 game drives. The Big Five reign supreme amongst Africa's mammals and include the lion, leopard, black rhino, elephant and buffalo. The African lodges we use often include plush extras, like additional showers outdoors and cool private plunge pools.